Gatineau city council will vote next month on whether to bring back a 3 a.m. closing time for bars in Hull, sources tell Radio-Canada. If 9-month trial approved, bars will stay open until 3 a.m.
During recent public consultations, 60 per cent of participants were in favour of a nine-month pilot project extending bar hours past 2 a.m., according to sources. 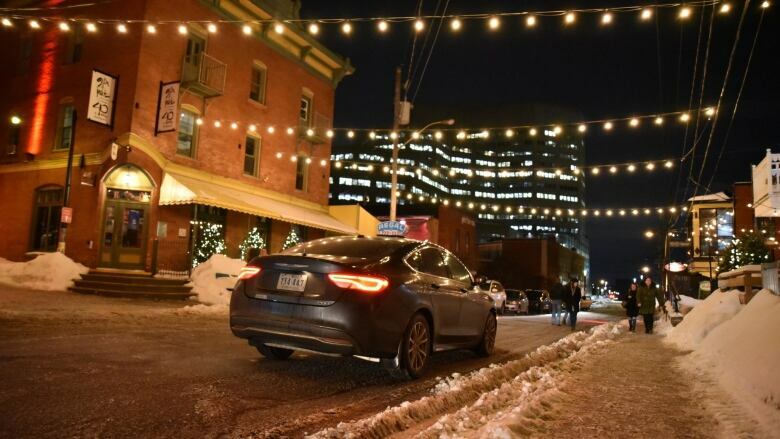 If approved in a vote on May 14, the pilot project would begin two days later and last until Feb. 17, 2020, the end of Winterlude. Bars in the downtown district used to stay open until 3 a.m., one hour later than bars in Ottawa. In 1997, after a steady stream of complaints about rowdy behaviour, they were ordered to close at 2 a.m., even though bars elsewhere in the region were allowed to remain open until 3 a.m.
Bellevue Coun. Pierre Lanthier, a former Gatineau police officer, has pointed out there are only about 10 bars in Hull now, compared to about 50 in the mid-1990s. Councillors will also be asked to approve spending $100,000 on two additional police officers to handle any issues that arise during the pilot, the only cost to the city associated with the project. Gatineau police will be involved in assessing the success of the nine-month trial before it's decided whether the change will be made permanent. Hull bars renew battle to stay open until 3 a.m.